Order Your drop cards & t-shirts here! LOOKING FOR PRACTICAL ADVICE FOR YOUR STUDENT MINISTRY? NEED HANDS-ON DISCUSSION WITH OTHER STUDENT PASTORS? DO YOU NEED TOOLS & RESOURCES? On APRIL 30-MAY 2, 2015 your student ﻿ministry is going to change! Come and reignite your passion at The Focus Conference. TFC is a three-day gathering of student pastors and youth workers from across the USA. Learn from veteran youth workers that have been there, done that, failed, tried again, and succeeded. Connect with others who share the same passions you do! TFC is your opportunity to get all of your questions answered by experienced youth workers. In a discussion based format, we will be tackling the most unanswered questions of student ministry while providing practical tools and resources for you to be the best student pastor for your specific youth group. This is not a one-direction conference. It will not be just one speaker talking to you, but it will be a conversation were you can actively participate and have your questions answered. In fact, you may have the right answer for someone's question based on your experience, and we want to hear from you! So if you are looking for the typical HOW-TO session, this is definitely not the place. The FOCUS Student Pastor's Network has been helping student pastors and youth workers since November, 2010. What began as a small group on Facebook has now grown to over 1500 members! FOCUS now produces a weekly youtube channel that focuses on various student ministry topics. Support each other - support from those who KNOW what it is like to be a student pastor. Johnathan and Noah envisioned a conference where student leaders helped each other in a practical conversational style rather than just pulpit-to-pew. They brought this vision to life in 2013 with the first FOCUS Conference which was held in Jackson TN. 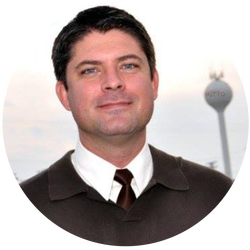 Josh Carson is a veteran youth worker who currently serves the General Youth Division as Director of Promotions. 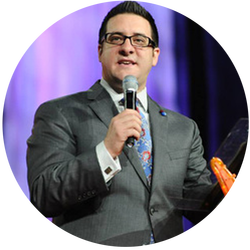 Before coming to St. Louis he was privileged to serve as a member of the Ohio Youth Division for over twelve years, serving as Sectional Director, Youth Secretary, and Ohio Youth President. 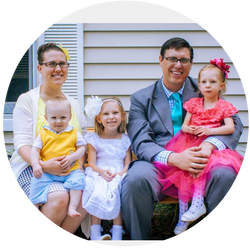 Josh was a full-time Youth Pastor in Tallmadge, OH for twelve years, most recently serving as the Assistant Pastor to Ken Bulgrin. Josh is honored to be an Ordained UPCI minister and is extremely passionate about leading this generation of Apostolic Youth to reach the world! David Moorehead is a team builder who loves working with students. He has worked in the public school system for 8 years as a College Access Professional helping at-risk and ADHD students make it into college. He is the founder of C4 Career Camp, an intensively active summer school program that prepares students in the areas of Character, Careers, Choices, and Community. He travels extensively teaching student ministry workshops for student ministries and public school leadership teams, preaching camps, and student rallies. David has also pastored two great congregations, and has been the Michigan District Youth Secretary. David is currently living in St. Louis Missouri where “Dr. Wife” Bobbi Ph.D. is the Vice President of Urshan College/ Urshan Graduate School of Theology. His wife and daughter, three-year-old tornado Rose Marie, are the loves of his life. He loves sports, creative design, and can be found most days in the local Starbucks. 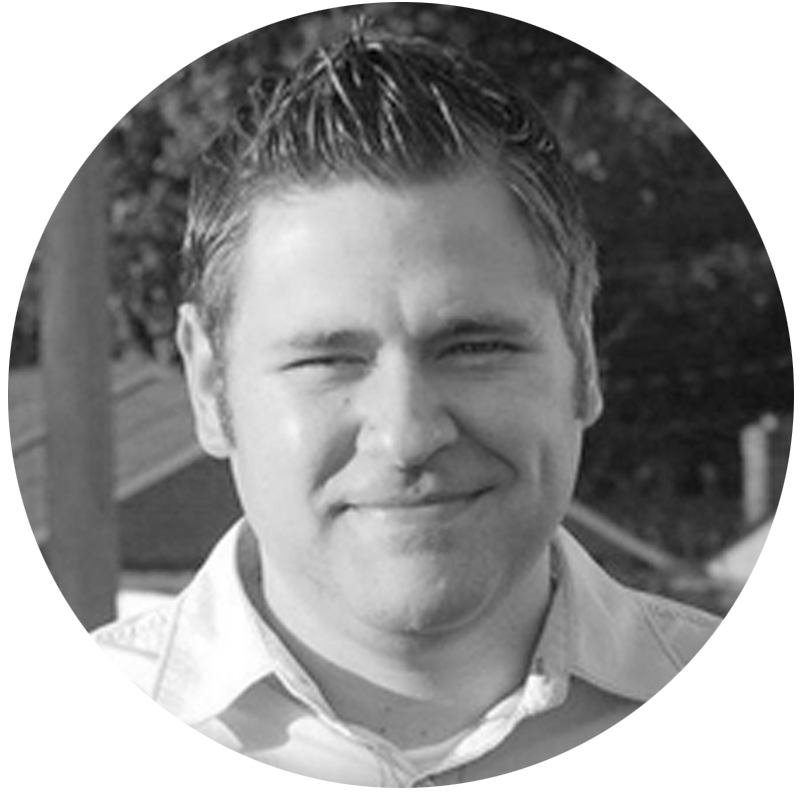 Noah Watt has been actively involved in Student Ministry for 14 years. During that time, he and his wife Bethany have served in nearly every capacity imaginable, from youth service setup to student pastor. His true passion is to see student pastors become better at the behind the scenes that make a good leader. He can be found chronicling his experiences at TheBackstageProject.com and in his recently released book, Backstage Student Ministry. Michael Guerra has been involved in Student Ministry for over 10 years, beginning his journey as a chaplain for a Christian school in 2002. Since that time, he has served as Junior High Director, Youth Pastor, Sectional Youth Director, Head Toilet Cleaner, Chief Church Van Operator, as well as various and sundry other titles. While Michael remains on the Florida District Youth Team, he resigned as Youth Pastor in Jacksonville, FL, in 2013 to plant ConnectPoint Apostolic Church in nearby Middleburg, FL. Samantha Guerra is no stranger to ministry, having taken Michael’s place as Junior High Director before their church planting journey began. Her ministry passions include teaching, family ministry, and mom-to-mom support. Together they are the proud parents of Loretta, Ruby, and Josiah. Michael provides Student Ministry resources and insights at http://michaeleguerra.wordpress.com. 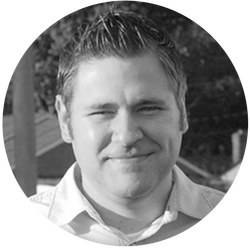 Anthony Roberts is a youth pastor from Alabama who has been involved in various forms of ministry for the majority of his life. 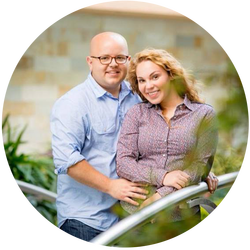 For the past three years him and his wife Elizabeth have served as the Student Pastors of Abundant Life Church in Alabaster, Alabama. Anthony is also involved with First Priority at Thompson Middle School. Anthony is a tech guy who is always involved in keeping up with the latest in the electronic world and very active in social media. When he is not promoting Project 7 through social media, you can find him at his church serving in the music and media departments of his church along with his student ministries. Anthony and his wife Elizabeth have a beautiful daughter named Sophia Grace. Donny Willis has been hands on with Student Ministry for nearly a decade. He served five wonderful years as Student Pastor in Wisner, LA and Thibodaux, LA. He is currently the Louisiana Quiz Coordinator for Intermediate Division. Donny and his family currently live in Moss Bluff, LA where he fulfills the role of Ministries Pastor. Through this role, he is entrusted to oversee all department leadership positions. He specializes and thrives in creating structures, processes, and strategies which ensure lasting ministries. Donny is currently pursuing his Master’s Degree in Organizational Leadership through Colorado Christian University. In his spare time he enjoys playing frisbee golf, board games and traveling with his wife Ashley and their son Braydon. Seth Simmons is continually amazed by the grace of Jesus Christ. He is the former Youth President of the South Texas District and currently serves as Pastor of New Life UPC of Hutto, a suburb of Austin, TX. 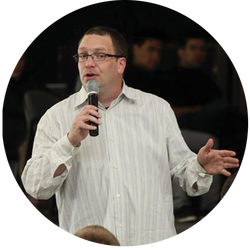 Prior to pastoring, he served for seven unforgettable years as youth pastor at New Life Austin where the youth, young adults, parents, leaders, and pastors graciously allowed him to lead and learn in his early days of ministry. 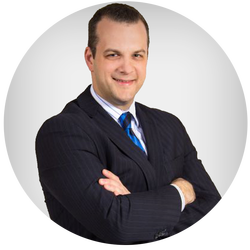 He received his formal education from the University of Texas and is currently a student at Urshan Graduate School of Theology. He and his wife, Sarah, live in Hutto with their daughters, Promise and Purity. Johnathan Nazarian is a veteran youth worker and student ministry consultant with a passion for seeing students live out their calling. He has helped students unlock their faith for over a dozen years. Johnathan, along with his beautiful wife Erin and daughters Lauren and Madisyn, are student pastors for the Pentecostals of the Twin Cities in West Monroe, LA. Johnathan also serves the General Youth Division as the national Project 7 director. Their passions are ministering to students, training youth workers, and assisting youth to start and maintain P7 Bible Clubs across North America. Ryan and Kinsie Johns are located in Atlanta, Georgia. Ryan serves as the Director of Production for Atlanta West Pentecostal Church and Kinsie is a teacher for Georgia Cyber Academy. Collectively, they have led worship at events of all sizes, from The Commune-ity to Youth Congress. Their heartbeat is to serve the generations of today. Together, they currently serve as the Youth Worship Pastors at Atlanta West Pentecostal Church. Matthew Smith is originally from DeRidder, La and he is a student of the scriptures. He has served in youth ministry for over 10 years. In those years he has seen youth ministry grow and change tremendously. Matthew also serves the General Youth Division as Project 7's Promotional Director. Matt began preaching at the age of 16 years old and has already impacted the lives of many people. His teaching style and uncanny ability to help people understand the gospel message is one of the reasons why he has been such an asset to the ministries he has served under. Matt is happily married to Athena, his bride of 7 years and they have 2 daughters, Makenna and Amiyah! Their daughters will be the messages that will be sent to generations that they will never meet. Their ministry is nothing more than an overflow of their marriage. They want you to enjoy their ministry as much as they enjoy their marriage. Jason Avant is a full time evangelist with the United Pentecostal Church. He currently serves the TN District as the Youth Director of Promotion. The last 9 years of his ministry has been centered on various student ministry venues preaching and leading worship in youth conventions, camps and revivals. With a passion to help students reach for their dreams, Jason presents the Gospel in Apostolic fashion challenging students to raise the bar in their walk with God and dream big while answering the call of God on their lives. Jason is married to Mikhale and they have an energetic boy named Lundon Isak. A CONVERSATION IS A PERIOD OF TIME CONTAINING SPLIT CLASSES WHERE THE PARTICIPANT CAN CHOOSE WHICH CONVERSATION THEY CHOOSE TO GO TO. IT CONSISTS OF A 30 MINUTE ONE-WAY PRESENTATION FROM THE FACILITATOR, FOLLOWED BY A 30 MINUTE INTERACTIVE DISCUSSION OR "CONVERSATION" ABOUT THE TOPIC. TOPICS WERE CHOSEN BY THE FOCUS FACEBOOK COMMUNITY OF OVER 1500 STUDENT PASTORS AND YOUTH WORKERS! YOU MAY CHOOSE WHICHEVER SESSIONS YOU FEEL ARE MOST RELEVANT, OR YOU MAY STICK TO A "TRACK" OF TOPICS THAT ARE MORE CLOSELY RELATED TO YOUR LEVEL OF STUDENT MINISTRY EXPERIENCE. EARLY REGISTRATION ENDS AT 11:59PM ON FEBRUARY 1, 2015. YES. HOWEVER, WE REQUEST THAT YOU PRE-REGISTER SO THAT WE CAN ENSURE PROPER ACCOMMODATIONS. WITH IT BEING OUR SECOND YEAR, IT IS MORE CHALLENGING TO GUAGE PARTICIPATION. REGISTRATION AT THE DOOR WILL BE $80 FOR INDIVIDUALS, $100 FOR COUPLES AND $60 EACH FOR PARTIES OF 5 OR MORE FROM THE SAME CHURCH. CASH, CHECK AND CREDIT CARD WILL BE ACCEPTED AT THE DOOR. WHAT IF I BRING MORE STAFF THAN I REGISTERED ONLINE? IF YOU PRE-REGISTERED A GROUP AND BRING MORE PEOPLE "AT-THE-DOOR" THAN WHEN YOU REGISTERED ONLINE WE WILL HONOR THE "PRE-REGISTRATION" GROUP RATE OF $50 PER PERSON. NO SPECIAL RATE WHEN REGISTERING A NEW GROUP AT THE DOOR. Do i need to bring my own nerf gun? YES. PLEASE BRING YOUR OWN NERF GUN AND AMMO FOR THE FRIDAY NIGHT AFTER PARTY. WE WILL NOT HAVE ANY EXTRAS ON SITE. We are so very thankful for our sponsors and partners who make THE FOCUS CONFERENCE possible. Interested in being a sponsor in 2015? The FOCUS Conference depends on sponsors to make this conference affordable for youth workers. If you are interested in becoming a sponsor please download the brochure below to see what incentives we are offering and then click the "Become a Sponsor Now" button! YOU CAN ORDER DROP CARDS FOR THE EVENT AT THE TOP OF THE PAGE.